The Chancel Choir provides anthems, responses and musical leadership for Sunday worship. The choir rehearses in the sanctuary on Wednesday evenings from 7:00-8:30 p.m. New choir members, high-school age and older, are always welcome. Contact Music Minister Madeline Smith for more information. The church has four octaves of Schulmerich Handbells and 2 octaves of Malmark Handchimes. Youth and adult groups present music in worship for special Sundays throughout the year. Year-round opportunities for members and friends with musical talents to offer solos or accompaniments to other musical groups for worship, Sunday School, nursing home services and special events. Contact Music Minister Madeline Smith. Through our worship, we offer our prayers, our praise, and ourselves to God. Through worship, we honor and glorify God, our Creator and Redeemer, and learn to become disciples of Christ, equipped to make a difference in our world. We seek to help worshipers connect with God on a personal level and experience the joy of His love and grace. 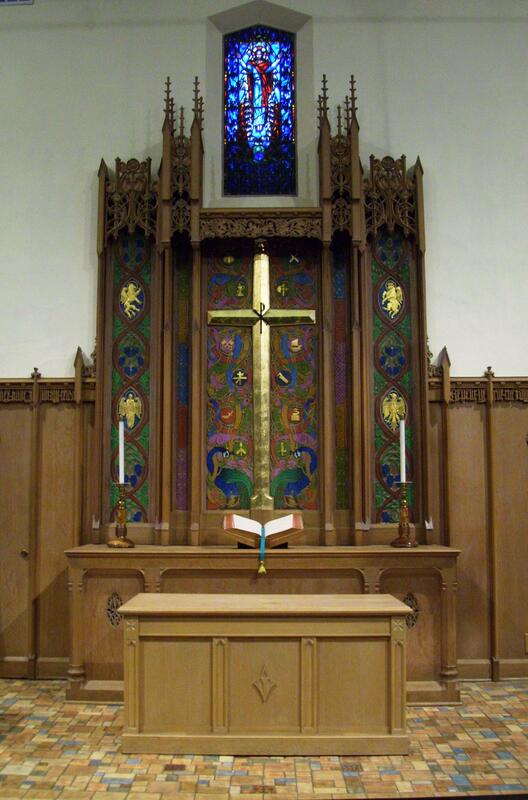 Join us for Sunday worship at 10:30 a.m.
Nursery care available for children age 4 and under. Children are also welcome to take advantage of the children's corner at the back of the sanctuary. Taizé Worship at 5:30 p.m. in the Chapel Room. All are welcome to this quiet, meditative service of scripture, prayer, and song, followed at 6 p.m. by Wednesday Supper Fellowship.